Every maker has a story. Be a part of Cristofir Bradley Cabinetry's story by placing an order, leaving a review, and seeing your review appear here. 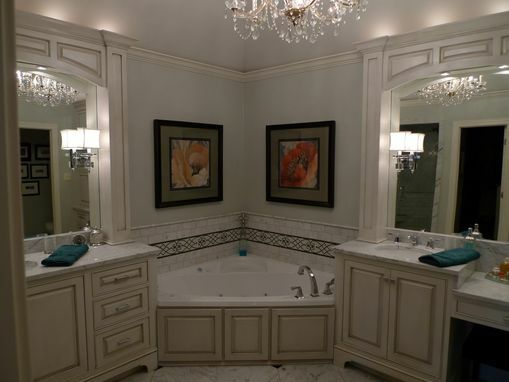 Custom bathroom cabinets with arches, columns, and decorative feet. The paint grade cabinets were built with furniture grade domestic birch plywood and solid poplar. All door hinges and drawer slides are premium, Blum soft close. The drawers are dove tailed, solid maple. The doors have solid wood raised panels.